Wish you could get a neat little bundle of emblems you could use customize the look and feel of your Corvette? You are in luck because this is the Corvette emblem kit you have been waiting for if you have thought this in your mind. It includes emblems for both your front and rear bumper. It also has Stingray emblems. Strong 3M based adhesives help you keep your decals from coming off your car. If you are going to have a fast car then you might as well look fast and these emblems can definitely help you in that regard. Do not wait and get a set for your car and customize your Corvette even further. 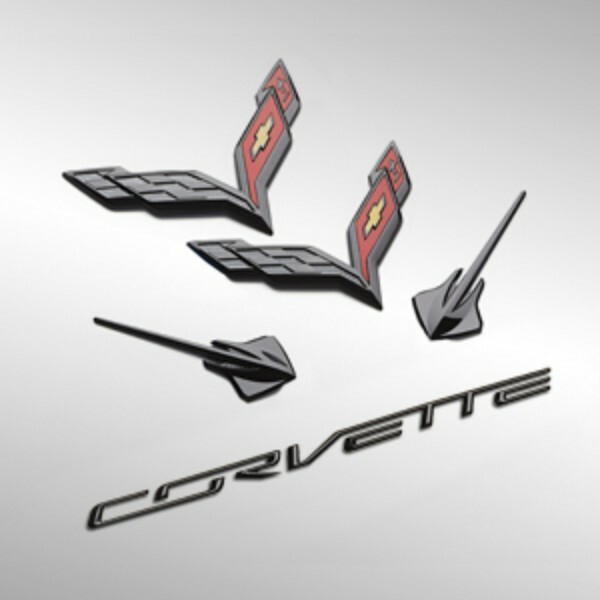 This is an essential exhaustive set of Carbon Flash emblems for the 2014-2017 C7 Chevrolet Corvette. The kit is complete with everything you need. The factory option code from GM is EYT. Remember that the kit uses 3M adhesive in order to attach to your car.